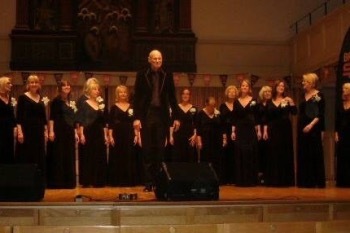 Black Sheep Harmony Ladies Chorus is an award winning amateur group of approx forty women of all ages and walks of life. 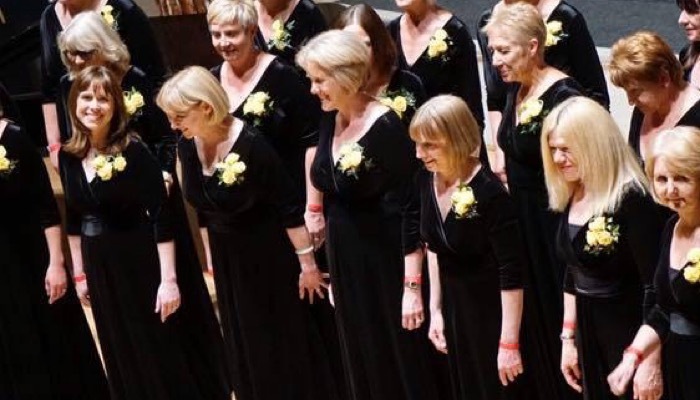 We formed in May 2012 and perform in many events across the South West from weddings, concerts, funerals, WI meetings, music festivals and occasionally can be heard live on the radio. Our main objective is to sing with excellence. Under strong leadership we have continued to thrive, improve and maintain standards. We sing in an A Cappella style which has been partly influenced by Barbershop. However, our music is more diverse and although we sing some barbershop standards, we also sing Elbow, The Beatles and Show Songs. We find we enjoy this sort of music and so do our audiences. The harmony we sing is usually four part (although one song does go up to nine!). The highest voice part Tenor is a harmony part, with the melody being the preserve of the second voice- the Leads. The two lower parts are Baritones and Basses. Basses often sing the roots and fifths and suit those low ladies whom traditional choral voicings often miss out. Baritones fill the missing notes of the chords. There really is a voice part for anyone from high to low voices as long as you can sing in tune. I warn you now that it is a highly addictive style genre if you get bitten by the bug. We owe a lot of the chord progressions to barbershop style and they are constructed to create expanded sound through the creation of overtones and undertones. You experience the sensational sound as a whole body magical experience that both the singers and our audiences relishes.